Market/Event Locations - Gluten Free Creations, Inc.
We will be at the following locations. We generally have sandwich breads, sweet breads, savory breads, brownies, cookies, pecan tartlets, and scones. Sometimes we have angel food cake, pies, pound cake and more. 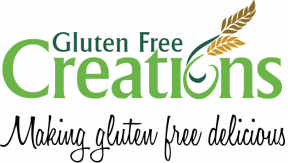 item(s) you need, please contact us at 317-270-4175 or at lydia@glutenfreecreationsinc.com at least 3 days in advance of market/event (does not apply to large orders or specialty cakes/wedding cakes). Please make sure you receive an email or a returned call that confirms your order. Thank you. May 14-September 10, 2019, 720 Eskenazi Ave, Indianapolis, IN. longer market schedule. ), 6 Municipal Dr., Fishers, IN.